Whether you’re an aspiring da Vinci or just like doodling in the margins of your notebook, you’ll love taking your skills to your iPhone or iPad. FiftyThree’s Pencil rolls up your pick of pens, pencils, paintbrushes, and color palettes into one nifty gadget, and never requires switching tools. Erase and blend to your heart’s content— with Pencil, it’s just as easy to create a watercolor portrait as it is to design a custom invitation to your next event. Plus its classic carpenter’s pencil design guarantees you’ll look like a pro while you’re crafting your mini masterpieces. 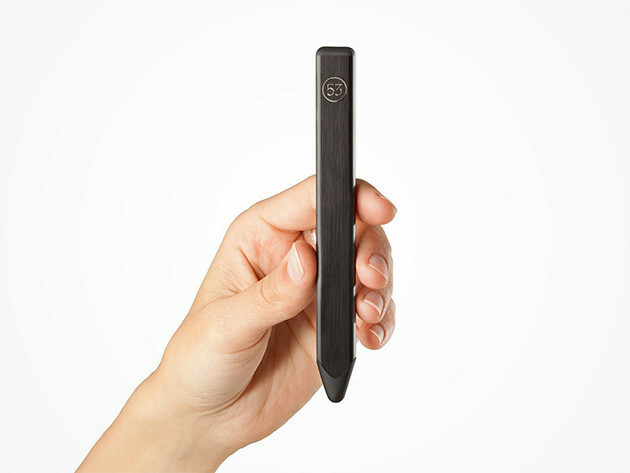 Save 23% on the Pencil by FiftyThree Digital Stylus in the Boing Boing Store.